Alpha Gamma Delta was the first women's fraternity to establish an international philanthropy project. The Epsilon Chapter has supported international endeavors throughout the years, including the former Alpha Gamma Delta camp (1920-1945), the Juvenile Diabetes Foundation(JDRF), the American Diabetes Association, the UK DanceBlue Clinic and the UK PAWS Program, and now our new philanthropic passion, Fighting Hunger with the help of the Alpha Gamma Delta Foundation which partners with Feed America and Meals on Wheels while providing scholarships and other resources. While hosting fundraising events to benefit international philanthropy efforts, Epsilon also has a rich history of serving the "community in which we are placed". In the 1950's, the Epsilon Chapter worked with UK's Kappa Kappa Gamma to host an annual gala that benefitted pediatric patients seeking treatment at Good Samaritan Hospital's cerebral palsy clinic. In the 1980's-1990's, Epsilon hosted an annual Daisies for Diabetes walk, Twister marathons, and Oscar Nights to support the Lexington JDRF chapter. In 2014, the Epsilon Chapter began working with UK FarmHouse and the UK Rodeo Team to host the Cowboy Up for a Cure Rodeo. 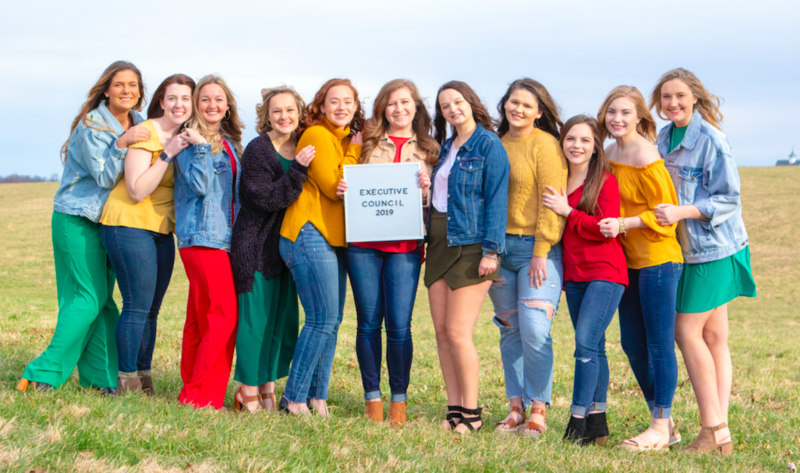 Cowboy Up for a Cure was founded by Epsilon alumna Rebecca Bucher Shryock, and the annual Rodeo benefits the UK PAWS Program at the University of Kentucky's DanceBlue Hematology/Oncology Clinic. In conjunction with UK FarmHouse and the UK Rodeo Team, the 2016 Cowboy Up for a Cure Rodeo raised over $65,000 to provide support of Central Kentucky pediatric patient care and rehabilitation. 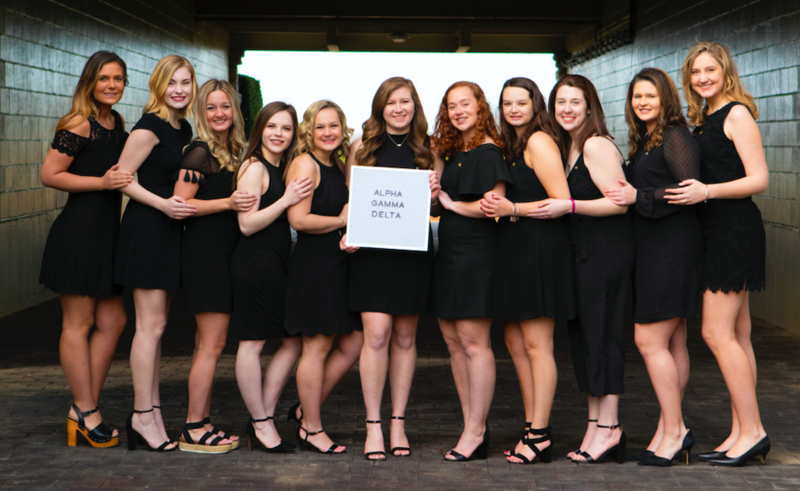 In 2018, we began a new philanthropy event called "Feuding with the Alpha Gams" which benefited the Alpha Gamma Delta Foundation. Other organization and clubs on campus created teams that competed in a Family Feud tournament to try and win a grand prize. Epsilon is honored to remit $7,008 to our foundation this fall. We are so proud of the money raised and we are excited to see where this event takes us in the future.